The industry has been crazed by the notion of “Unifying” storage. NetApp has lead the charge as has EMC and others. 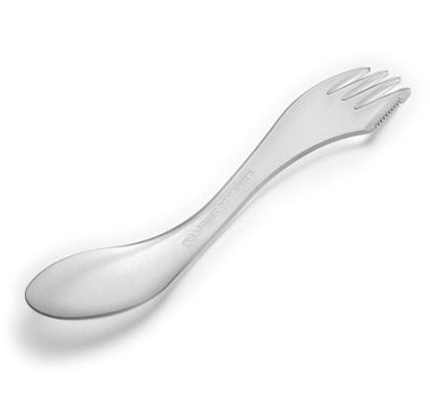 Above I’ve offered the classic “spork” as a symbol (similar to swiss army knife) of the ultimate flexible eating utility. What could beat it? The problem is I’ve never seen kitchen drawers with sporks. Huh. The diagram signified a shared infrastructure approach which has become the default design and architecture view of the modern, virtualized data center. You’ll also notice a breakout of non-shared infrastructure. The intent is to show a requirements driven design for dedicated or purpose built infrastructure I would also call this “specialized”. So why then do I pose the viewpoint of diverging from unified storage? After all the players that have unified all point out how flawed other vendors because they don’t have ALL their features. Most features wins right? Enter my point. This builds directly off the NetApp diagram above and continues through Chad Sakac’s prediction from his 2013 predictions blog post. (he also verbalized it in his webex) The notion is not purpose built but more like “specialized”. As we are poised to enter a new era of automation at scale not just of size but of “the power to do things” we need to question where we make assumptions. The classic assumption is to reach for flexibility but I’m not so sure. I’ve been a long time advocate for dedupe. What I’ve witnessed has reminded me the lesson of the difference between theoretical and real life results. Theory says you can get x:1. The problem is most IT organization do not and cannot manage the platforms effectively so you end up with a similar gap we have with mileage posted on the showroom and what you actually get when you drive/own the car. Specialized Storage does not knock a unified platform but instead focuses on how it would be designed/tuned it to the environment. More importantly this opens up a wider variety of storage platforms to have a great fit. To extend that thought you’d want to consider why someone would want an all flash array. I’d offer storage solutions like Nutanix, Nimble, Tintri, FusionIO, Isilon and others that are in the ramp up stages. None of these have the complete solution but each has their niche. That’s good and bad. Good because they can be specialized like EMC and NetApp are even in their unified offerings but bad because you have too many choices. The hardest part is getting them to stop rotating over their product and get tot he business of understanding the specialized fit. Sometimes you need to take 1 step back to take 2 forward. Again, the simple concept of a vVol and where a SDDC total architecture drives us seems to me to be a bit like the automakers after they perfected the assembly lines. At Stratos, where I reside, we’ll be looking into this as we see growth in all kinds of storage. We’ll be developing services around them. We’ll shun the open idea intolerant for a thirst to understand where automation and orchestration takes us in storage platforms and beyond. If you would like us to explore this concept let me know and we can schedule a 1:1 meeting. Comments/Questions welcomed. I don’t know the ins and outs of storage technology, so I won’t pretend to and make myself sound foolish. Instead, I’ll focus on what I do know: food. Sporks are good enough in certain situations. If you’re going camping, for example, it’s much easier to pack one lightweight utensil that you can use to eat your can of beans at night AND your scrambled eggs in the morning. But if you’re sitting down at the dining room table to eat a porterhouse, a spork won’t cut it (literally). Furthermore, the advantages of a spork (versatility, portability) don’t apply in this scenario, because you have the infrastructure (a full kitchen) to support the best tools for the job (a steak knife and metal fork). Applying this analogy to storage (or any technology, really), it all comes down to your requirements. If you need to perform multiple basic tasks, the spork approach is the way to go. But if you have specific, in-depth needs, you need specific, in-depth tools.